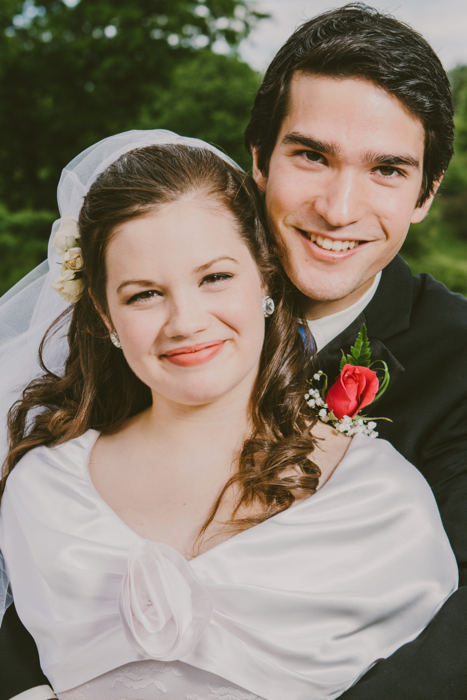 “Do hard things,” Alex and Brett Harris told their fellow teenagers six years ago. Get up early. Step out of your comfort zone. Do more than what’s required. Find a cause. Be faithful. Go against the crowd. Be better than your culture expects. The Harris twins, then 18, were leading by example. They worked through the summer to finish their (homeschool) high school at 16, then clerked with the Alabama Supreme Court. They organized a statewide grassroots political campaign. They started a blog, coined the “Rebelution” movement (the website has more than 40 million pageviews), wrote a book (which has sold 470,000 copies), and spoke at conferences. And then they turned 20. But they didn’t slow down. The twins enrolled at Patrick Henry College, took first place in the moot court nationals, and wrote another book. They dated and married their wives, cared for and buried their mother, and chose directions for their careers. Since then God has taken Alex and Brett, now 25, in starkly different directions that illustrate the Lord’s mysterious plans and purposes as he calls us to forsake all and follow him. Six years after publishing their first book together, the brothers are following Jesus’s example of “hard obedience” and tackling even bigger challenges. “There are so many ways in which doing hard things as a teenager and in college prepared me what I’m doing today,” said Alex, who is in his last year at Harvard Law School, alma mater to both Barack Obama and Mitt Romney among many more of the nation’s elite, past and present. He is an editor of the prestigious Harvard Law Review and plans to clerk for the 10th Circuit Court of Appeals next year in Colorado. The hard choices weren’t always big ones—opting to read rather than watch TV, to study rather than play video games, to join the debate team rather than the basketball team. “Doing hard things in one season prepares you to step into the next with momentum and purpose,” Alex said. That’s because rebelling against low expectations and doing hard things is a mindset that grows with you, Brett said. He still works with the Rebelution movement, but has spent most of the past two years caring full-time for his wife, Ana, who suffers from Lyme disease. A tick-borne illness, Lyme disease has serious implications if left untreated. Ana was probably bitten when she was 10, but wasn’t diagnosed until a few months after their marriage, Brett said. Along with keeping track of doctors’ appointments and medical options, Brett cooks for her, bathes her, carries her up the stairs and, during her sickest months, worked with her through her the panic attacks induced by the bacterial infection in her brain. God has not abandoned them. In fact, he has prepared Brett through the discipline of doing hard things. Caring for Ana has ultimately been about bearing an enormous responsibility, Brett said, since her welfare largely depends on how well he attends to her needs and how unselfish he is in giving time and energy to serving her. Responsibility is a muscle that needs to be worked, Brett said. The exercise started for him with loading the dishwasher as a kindergartener, then being responsible for the family garden and chickens as a middle schooler. 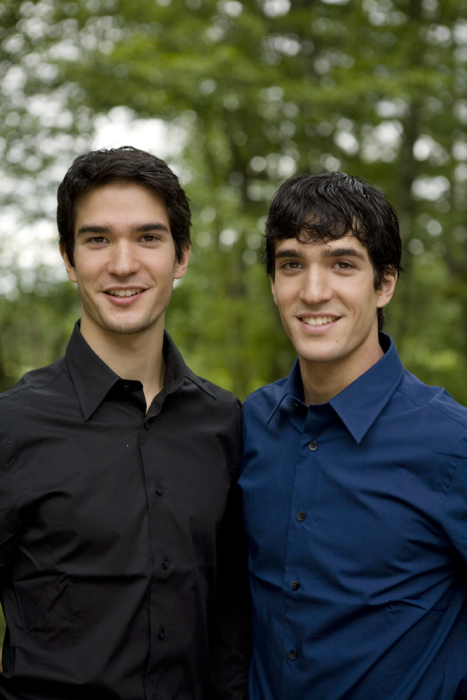 Growing up as twins was an added push, according to their older brother, Joshua Harris, who authored I Kissed Dating Goodbye when he was 22. Alex and Brett still believe that the teen years are a unique launching pad for teens who choose to do hard things. When the twins had a chance to revise their book before its second release in 2013, they chose to keep it virtually the same. The idea of adolescence didn’t exist before the 20th century, the brothers note in their book. Their problem isn’t with the word itself—which means “to grow up”—but the modern understanding of it that encourages young people to remain immature for as long as possible. Indeed, even into their 20s and 30s. “I’ve visited young singles Bible studies that remind me so much of youth groups that I wasn’t sure I went to the right place,” Brett said. Of course, doing hard things isn’t just for teens. The brothers got “countless emails” from adults who resonated with their message. The need to do the hard things doesn’t change as you get older, Alex said. The stakes just get higher. When Sono Harris was diagnosed with cancer, Alex and Brett were sophomores in college. That summer, Brett was one of her primary caregivers. The difficult months he spent with her helped to prepare him for caring for his wife. Sometimes exercising those muscles just plain wears you out. “Caretaking can make you weary, because you’re thinking, This is not what I wanted my life, my marriage, to be like,” Brett said. Ana’s pain can be excruciating, and staying on top of her treatment can be exhausting. Remembering the story of Joseph, and God’s faithfulness over a lifetime, refocuses him. So for Brett, the hardest thing he does is being faithful in the daily tasks of bathing his wife or driving her to a doctor’s appointment—rather than pursuing his dream of writing. At Harvard, Alex also finds faithfulness in small tasks the most difficult. “The things people don’t praise you for, that don’t earn the same level of admiration from your peers, are harder, but those are usually the more important things,” he said. As a law student, that means daily choices to prioritize time with his wife, Courtney, and their young daughter. Some of the Harris’s hard decisions have been anything but little. At the height of their Rebelution movement, with a book under their belts, a booming website, and a schedule of speaking engagements, they chose to step off of the stage in order to be the first in their family to attend college. Inside this hard choice was another one—the decision to listen to their parents. Both men credit their parents with urging them toward college. Parents should have high expectations for their children, he said, but they need to be the right kind. The danger comes when parents define high expectations narrowly, asking for academic achievements or lots of extracurricular involvement or athletic excellence. That can extend into expectations of getting into a top college, making a good salary, and buying a nice house. “My parents had a much broader definition of what success meant, and that was for their children to have meaningful and significant lives,” Alex said. You can’t “do it all” and do a good job, he said. But you can do everything God has called you to do. And so far, the Harris brothers are living proof. Brett’s life, on the other hand, illustrates the need to do hard things in order to prepare for the brokenness of our world. “We can’t shield our kids from hardship and then release them into a suffering-free existence in adulthood,” he said. Loving your children means preparing them for hardship by allowing them to engage with the world, deal with the consequences of their actions, and work through inevitable disappointments and failures. Brett’s life is more difficult than he ever expected. But he was ready, and so was Alex, because for years they’d already been choosing to expect more of themselves for the sake of God and their neighbors.